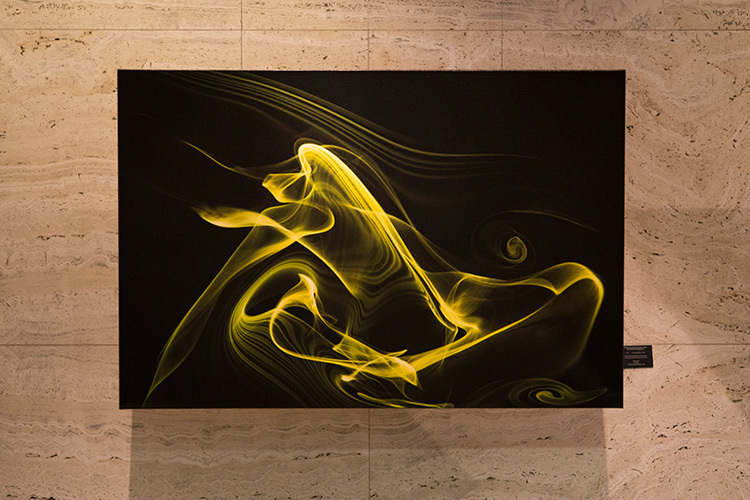 A billow of smoke within an IIT wind tunnel transforms into a unique work of art under the creative guidance of IIT Professor Candace Wark and colleague Shirley Nannini. At first glance, most viewers assume the fluid-like images originated from a computer. 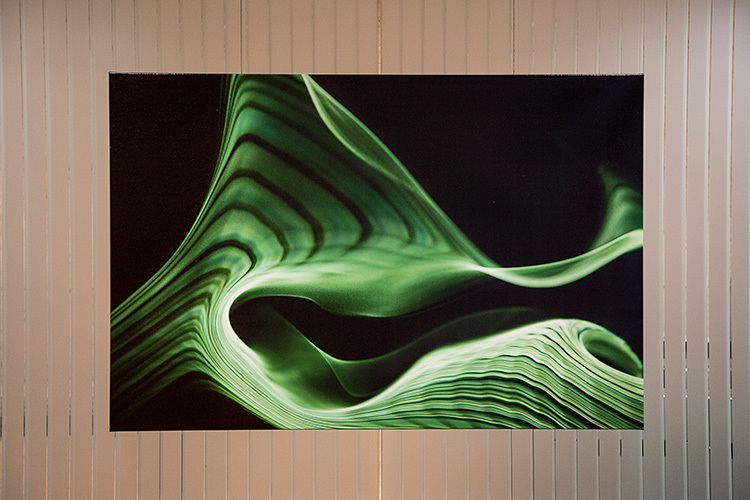 So when Professor of Mechanical and Aerospace Engineering Candace Wark and her art colleague Shirley Nannini explain how they produce their photographs using a wind tunnel, the typical reaction is pure amazement. 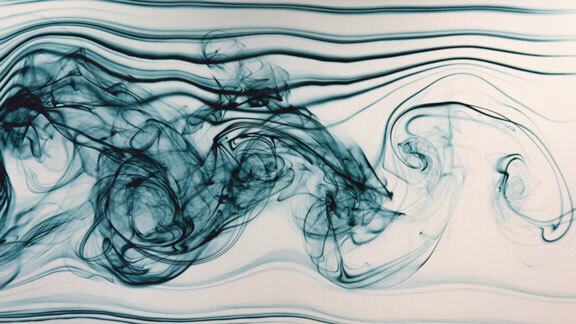 Blending science and art, the images reveal the beauty of airflow patterns captured using smoke, light, and colored filters. 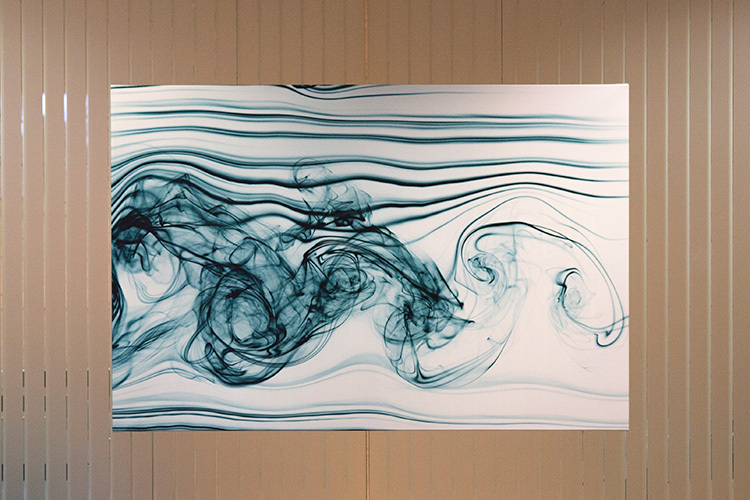 To visualize the movement of invisible air, Wark and Nannini introduce smoke into the wind tunnel by coating a wire with oil and running an electric current through it. As the oil burns, the smoke gets carried by the air flowing through the tunnel. It passes around and over objects placed in the tunnel, such as tennis balls or flat plates, and then the women photograph the patterns produced downstream. 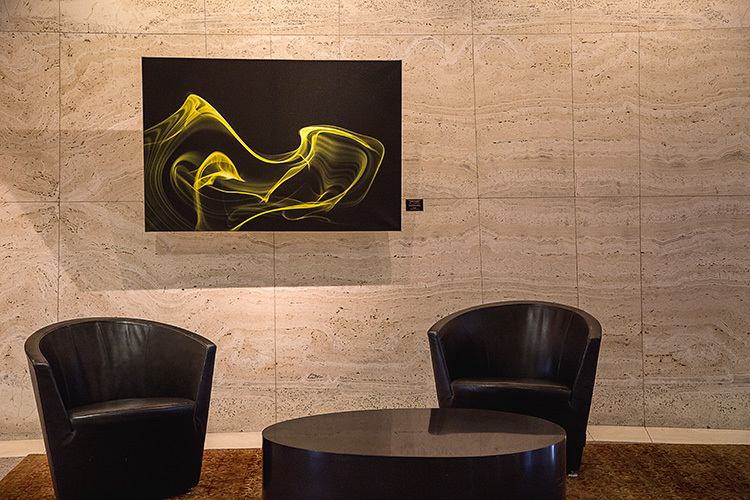 The images’ brilliant colors arise from filters placed over the lights used to illuminate the smoke. 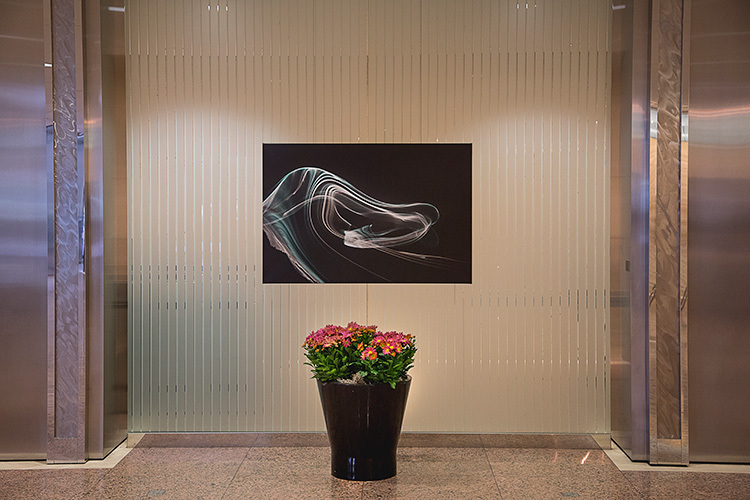 The two women met on a tennis court in 2003 and later explored airflow art in 2012 as part of a project for one of Nannini’s photography classes. Captivated by their early results, the two continued to experiment until they had captured images that they considered art worthy. Next, they applied to local art exhibits. 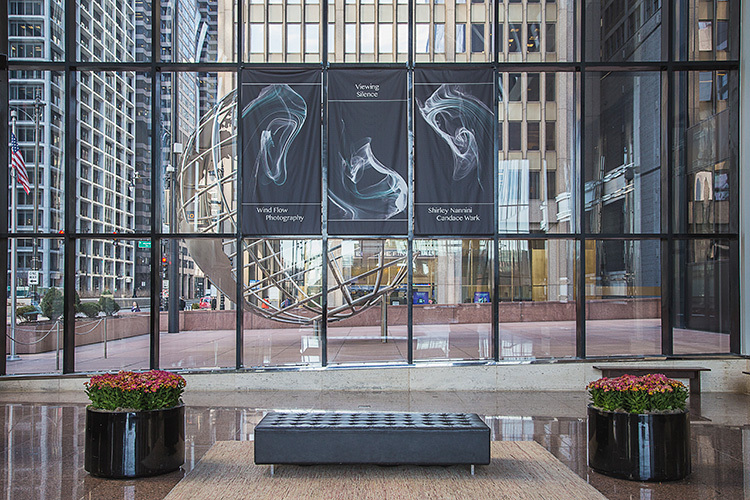 The duo’s first airflow art exhibit went on display in 2012 at the 737 North Michigan building in Chicago. Since then, their work has appeared in more than 25 exhibits, including a recent exhibition at Willis Tower in downtown Chicago.